Diane, a very active retiree, has found a place to call home in the Lakeview neighborhood at Ruth Shriman House. 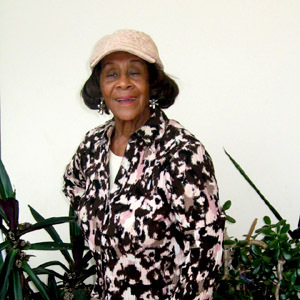 She has found more than just an apartment, but a true community within the walls of the apartment complex for seniors. Throughout its 18 years in operation, Ruth Shriman has provided Diane and many others the opportunities to attend monthly socials, bingo nights, movies, and clubs. Diane particularly remembers special holiday celebrations for those who could not be with other friends or family. Diane describes the people she has met at Ruth Shriman as her second family.